18 holes, par 72, 6588 yards. Links. Originally designed by Old Tom Morris in 1891, Wallasey Golf Course is a worthy test of golf located along England’s famous golf coast, just down the road from Hoylake. In 1901 Improvements were made to the course by Alex Herd and then twelve years later in 1913 by Harold Hilton. Since then Wallasey has been through countless efforts to make it the course it is today. The Second World War was detrimental to the course’s development as several holes were lost due to war defences. It wasn’t until 1952 when the course was originally built back to its original 18 holes. The most recent renovation were made by Donald Steel in 2004 when he redesigned three holes, contributing to the course that very much still stands today. The course itself is as enjoyable as it is beautiful. The first five holes are particularly charming, with raised tee boxes and greens to contest with, as well as the constant threat of wind. Like most classic links courses, Wallasey forces you to be accurate off the tees, and the firm greens mean there is no room for error. 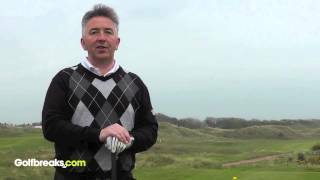 If you are playing well then Wallasey can be your best friend, but anything off point could land you in some serious trouble throughout the round. But don’t take our word for it, go see for yourself! There are no golf carts available at Wallasey Golf Club; however visitors do have the option of hiring a pull trolley from the golf shop. Caddies are also available and start from around £35 per round. Conventional golf attire is expected is expected throughout your visit. Golf shoes and tailored shorts are allowed in the spike bar and player’s entrance, but nowhere else in the clubhouse.